Breakfast is just breakfast, right? Not really! Everywhere around the world, kids are eating very different things not only breakfast but also for lunch, dinner and everything in between. For a project he calls “Daily Bread,” photographer Gregg Segal showcases how our diets vary around the globe. He set out on a journey around the world to document exactly what the next generation is consuming. 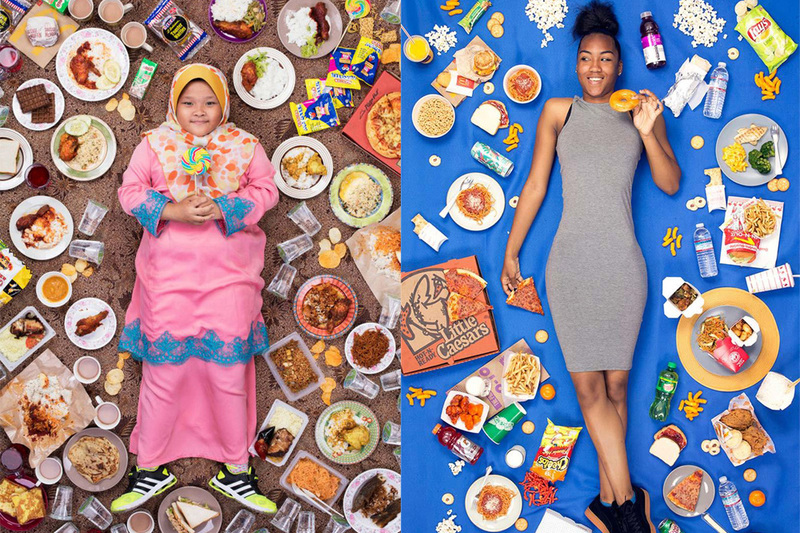 He asked each kid to write down every item they ate over the course of one week and then he staged a final photograph with the kids who were then surrounded by these respective food items. On his website, Gregg Segal explains that his decision to focus on photographing kids' diets rose out of the belief that eating habits that are formed in childhood will last a lifetime. "I've been encouraged to find regions and communities where slow food will never be displaced by junk food, where home cooked meals are the bedrock of family and culture, where love and pride are sensed in the aromas of broths, stews and curries," he explains on his site.